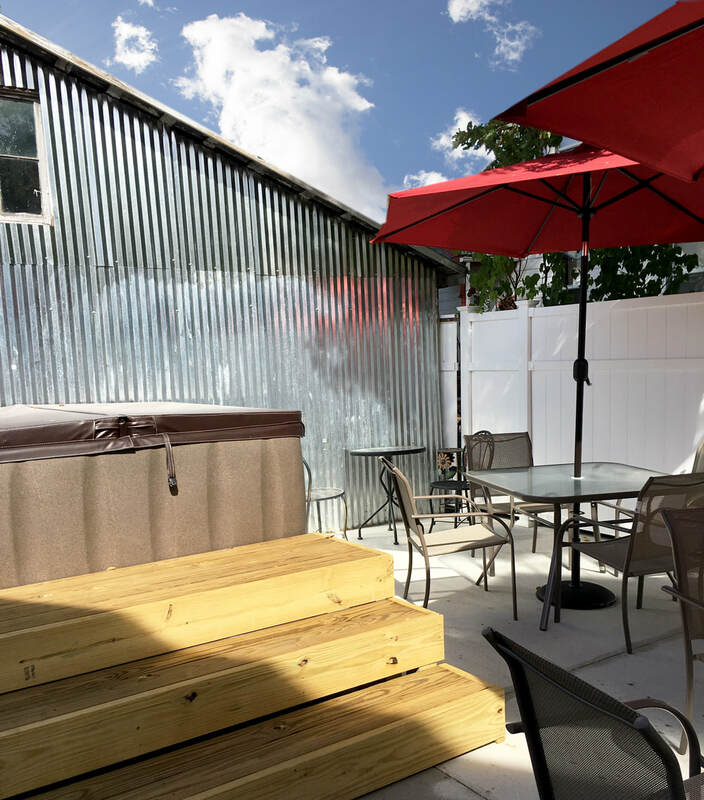 Valley View on 5th​ is a whole house rental and can sleep up to 10 guests. 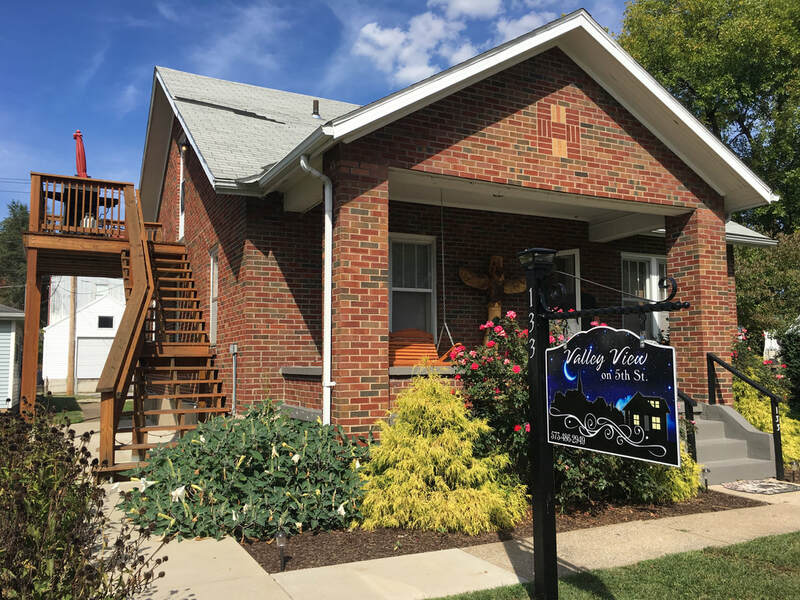 Valley View on 5th​ is one of the few guest houses in Hermann that accommodates two couples in private suites or a family with children. Valley View on 5th ​comes with a continental breakfast and has two fully equipped kitchens​ (one on each floor). Both kitchens are equipped with pots, pans, utensils, dishes, cups and tableware for preparing meals during your stay. You are responsible for keeping the kitchens tidy and clean. ​There is ample closet and drawer space for your clothing. 1st and 2nd floor bathrooms have a bath tub, overhead shower and are stocked with towels, shampoo and soap. Valley View has recently added an additional half bath. Great spot for taking wedding pictures!